Why can’t I ever eat all the bananas I buy? Maybe it’s a Freudian slip, because I love banana bread, banana muffins, banana anything really. Take 3 overripe bananas and some staples from the pantry and voila. 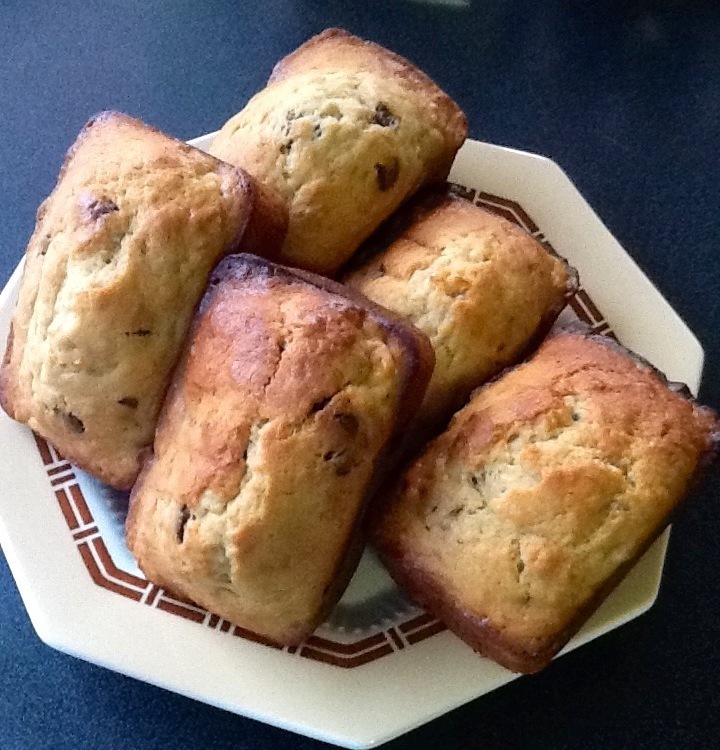 Banana and choc chip mini loaves.